The deadline to reach the 53-man roster limit for NFL teams came and went at 3 p.m. on Saturday. For some, dreams came true this weekend. For many more, the news wasn’t so positive. There were several former Huskers on both ends of that spectrum. 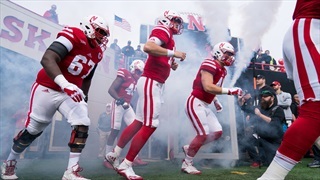 Hail Varsity staff members Derek Peterson, Greg Smith and Brandon Vogel offer some quick takeaways from Nebraska's 2018 draft and free agency signings. 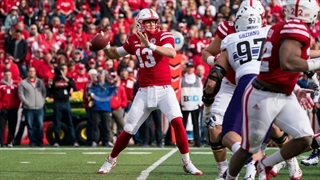 Nebraska had a long wait to keep its draft streak alive, but it is alive after the Jacksonville Jaguars selected quarterback Tanner Lee with the 203rd overall pick. The former Nebraska quarterback is reportedly meeting with Atlanta as one of the Falcons' top 30 prospects. 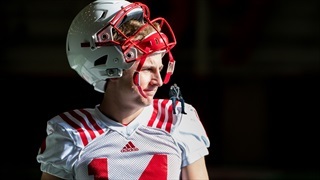 Nebraska assistant coaches aren't giving any hints who the next starting quarterback will be, but they are willing to share some of the things they're looking for. 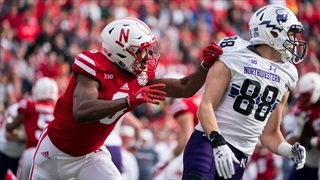 Fifteen former Huskers worked out for a collection of NFL and CFL scouts on Wednesday as they seek to make the leap to the professional ranks. Taking a look at the raw results and player evaluations to come out of the NFL Combine for the Huskers who participated. Former Nebraska quarterback Tanner Lee again impressed scouts with his throwing ability, and ranked near the top of the group in a couple of drills. ESPN Draft Analyst Todd McShay talks the Huskers' draft prospects with Chris Schmidt of Hail Varsity Radio. 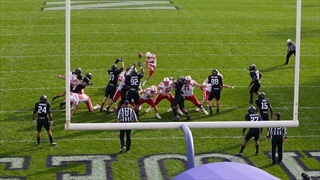 Nebraska will send five players to the NFL Combine in Indianapolis, Indiana, later this month, including one of just four kickers invited to the event. 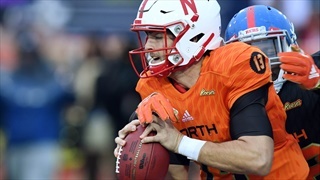 Former Nebraska quarterback Tanner Lee had two turnovers in Saturday's Senior Bowl as other QBs put up big days. Houston Texans coach Bill O'Brien called the Senior Bowl an "evaluation fest." Former Nebraska quarterback Tanner Lee has always fared pretty well in those. 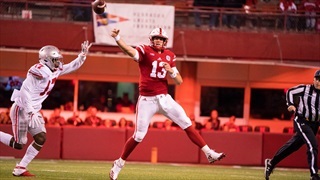 The former Husker quarterback is heading to Mobile, Alabama, to participate in the 2018 Senior Bowl, according to NFL Network's Ian Rapoport. The Views Pod returns as Derek Peterson and Greg Smith begin a four-part series breaking down the 2018 Huskers. Up first: quarterbacks and wide receivers. 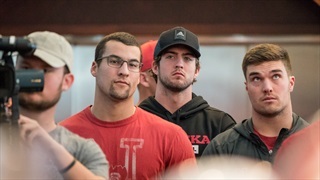 Current and former Huskers share their reactions to Tanner Lee's decision to declare for the NFL Draft. 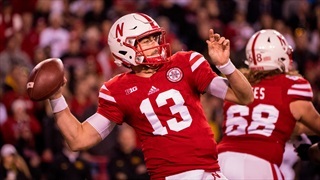 Nebraska will have another QB battle on its hands this spring as Tanner Lee announced his intentions to enter the NFL Draft. Derek Peterson looks at the ramifications of that decision. 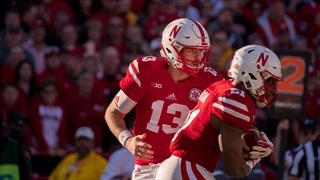 Nebraska's quarterback has declared for the 2018 NFL Draft after two seasons in Lincoln. 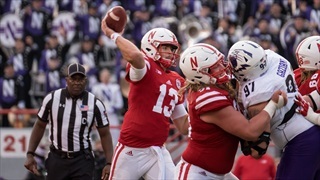 Nebraska quarterback Tanner Lee had another strong game Saturday against Penn State, so what's next? 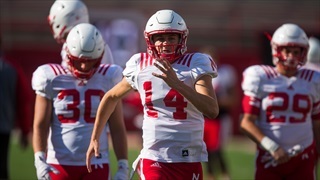 Head coach Mike Riley told reporters Friday that his starting quarterback has officially been cleared and will start against Penn State on Saturday. 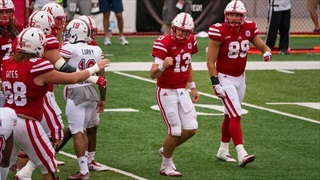 Head coach Mike Riley announced Thursday that junior quarterback Tanner Lee should be cleared for Saturday's game "if he does not have a setback."